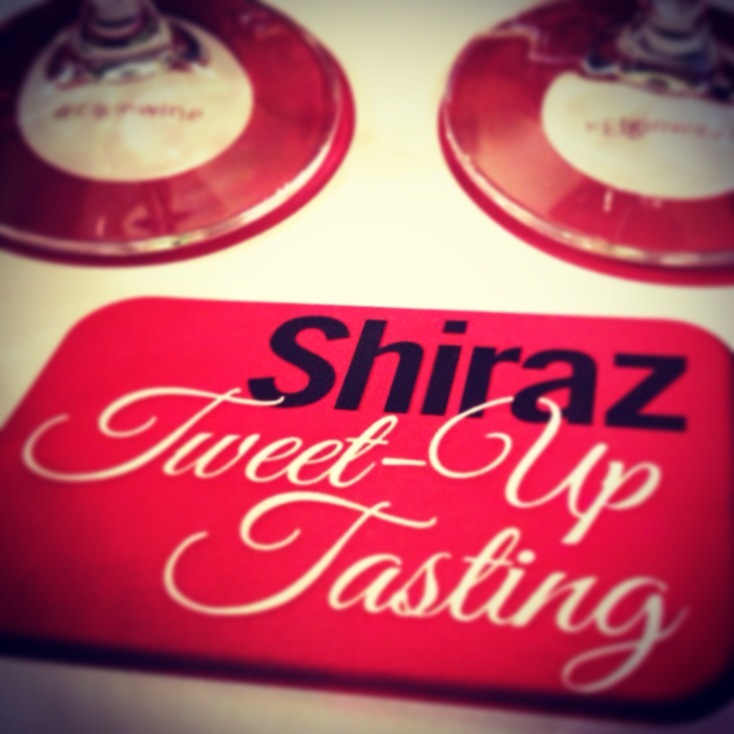 We were invited to join the wineries of Elgin Valley to explore the world of cool climate Shiraz. The tasting was hosted by Karen Glanﬁeld on behalf of the Elgin Valley Wine Guild. This evening was all about wines with complex aromas, dark and spicy undertones and other full bodied varietal from the Elgin region. 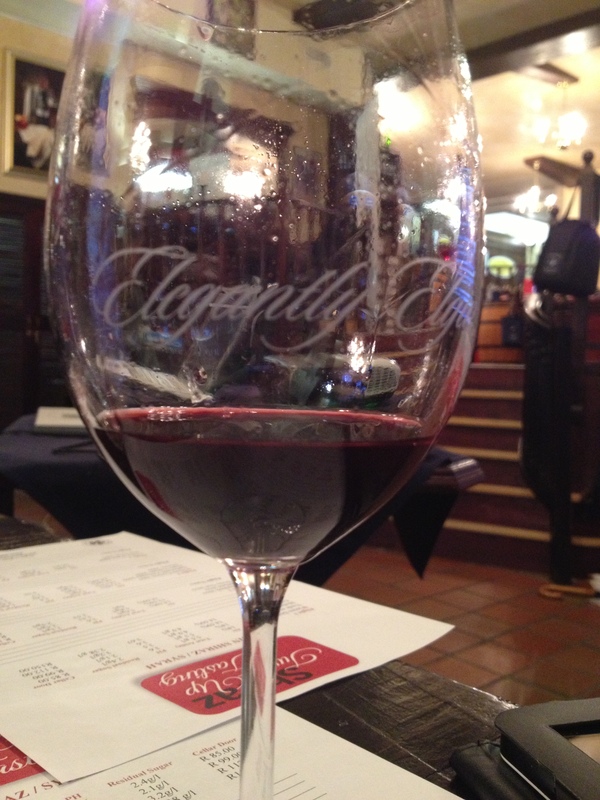 The venue for the evening was Caroline’s Fine Wine Cellar in Strand street, Cape Town. 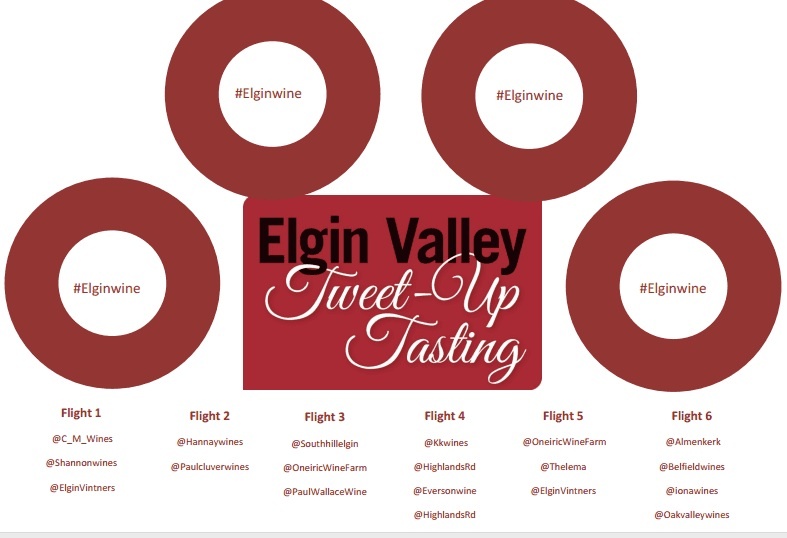 The Shiraz #Tweetup consisted of 4 Flights of wines and each flight consisted of several wines from the Elgin region. The comparison between wines from the same region in one flight made for a few interesting conclusions. Ready to warm up my palate! 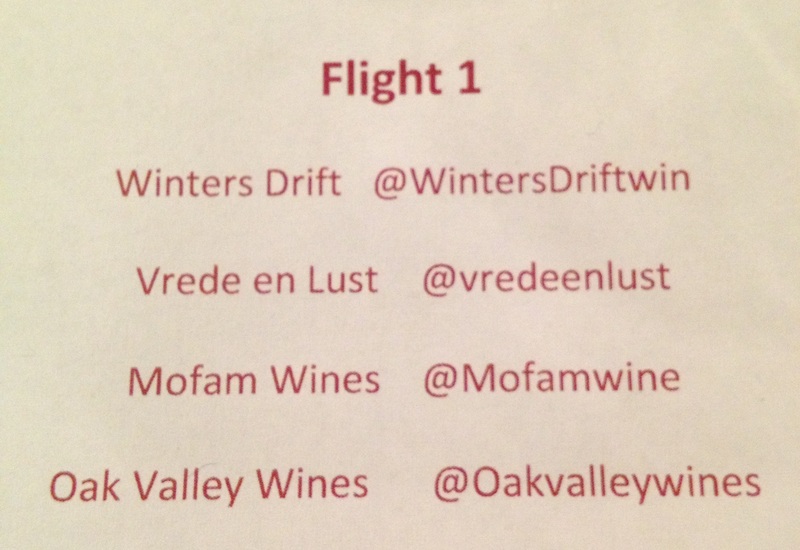 I have to admit, I couldn’t decide between Oak Valley Wines or Vrede en Lust. 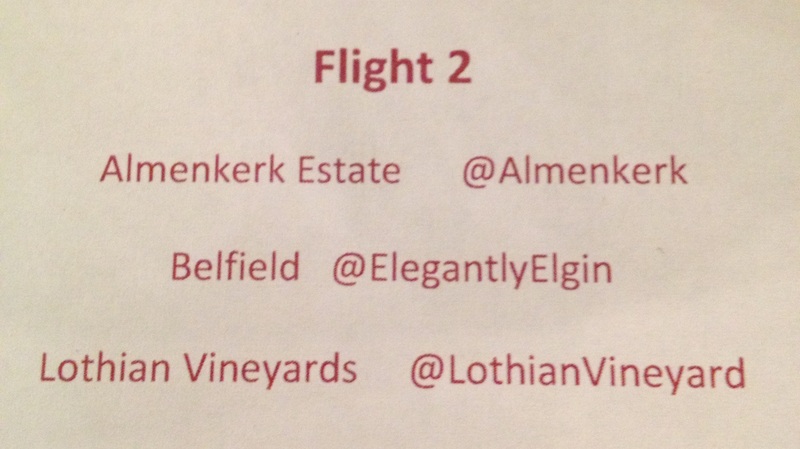 The star of Flight 2 for me personally was Almenkerk Wine Estate. 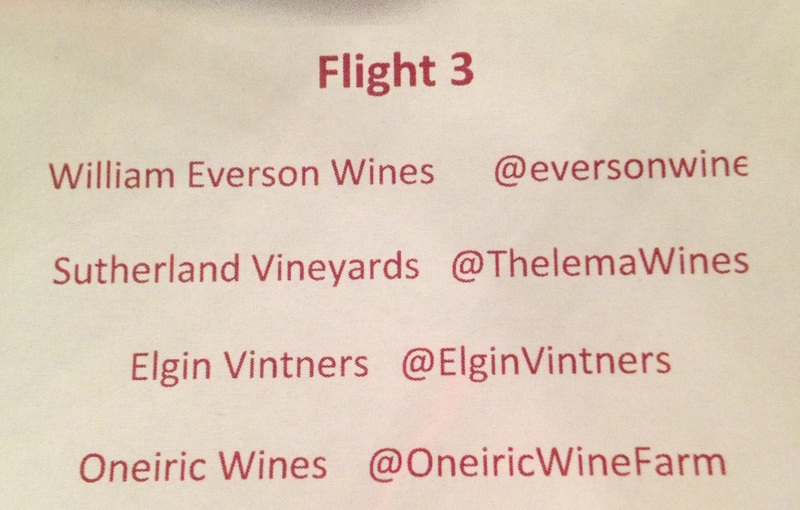 Third flight and pleasantly unexpected favourite of this flight was Oneiric Wine Farm. 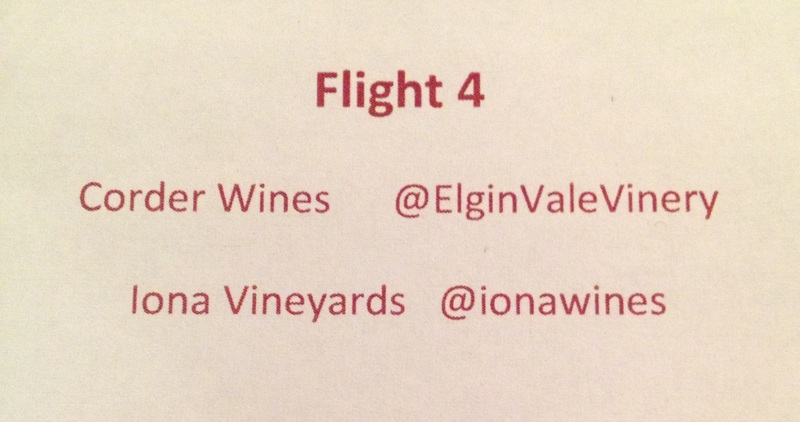 The last flight ended on a high note with Iona Vineyards. Karen completed her certificate course through Cape Wine Academy in 2004. The knowledge Karen obtained, she used to start her own business, KGB Wine in June 2008. Wine club? What makes this wine club great, you can arrange an evening with +10 friends and arrange a private tasting with Karen in the comfort of your own home. This will cost only R30 per person or free if an individual purchase wine on the evening. BOOK your private Wine evening today! Visit KGB Wine for more info: www.kgbwine.co.za. You can also find her on Twitter @kgbwine or KGB Wine Facebook page.